Arbitration Clause. You want any disputes with your client resolved by an understanding lawyer arbitrator, not by twelve angry laymen. The Louisiana State Bar Association Fee Arbitration Service is a quick and relatively inexpensive means to resolve the most common types of disagreements—fee disputes. As to all other disputes, opt for arbitration before the AAA. It’s more expensive, but at least it’s not court. Finally, make sure you follow the Louisiana Supreme Court’s requirements for enforceability. File Retention and Destruction Clause. You want your client to understand that you will keep the file for no more than five years following termination of the representation. This clause should give you right to destroy all file materials without further notice. In so doing, it becomes the client’s burden to get the file from you. Scope of Representation Clause. The client needs to understand exactly what the scope of your representation will be. For example, if you are undertaking to handle only a third-party tort suit arising from a work place accident, include a clause that specifically excludes workers’ compensation claims from the scope of your representation. Fee Clause. Set forth in exhaustive detail how the fee will be computed, what work constitutes “billable time” (yes, every single email), when you may draw down on any advanced deposit, and how often you will send invoices (promise only that you will do so “periodically”). Commencement Clause. Make it clear that you will not begin work on the client’s matter, and that you have not been retained, until you have signed the agreement and given it to the client. 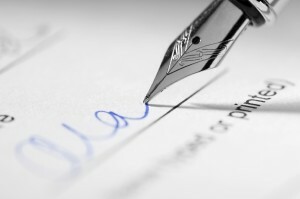 By making it clear that the agreement is effective only as of the date of your signature, there will be no misunderstandings about whether and on what terms you have accepted the engagement. For model engagement agreements that include these five essential terms and others, see Model Louisiana Lawyer-Client Engagement Agreements.